It could've been Kobe's last first home game of the season, but it was the second overall pick vs. the first overall pick in this one. Before I review this game, I want to send a prayer out to the great Flip Saunders who died on Sunday, he was a great man, it's so sad and the basketball world lost a great humble man. The Lakers went on an early 12-0 run in the first to take the lead and control it. They were led by Louis Williams 9 points in the first. 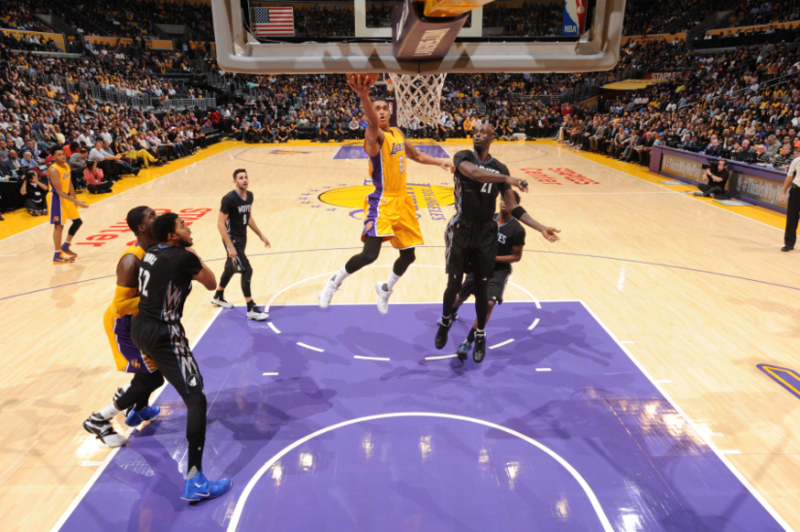 It was all about Kobe in the second, he scored 11 of his 24 in the second where LA found themselves leading by 9 going into the locker room. A 7-0 run to close the third extremely made the Timberwolves confident in their game headed to the fourth, they were still down by seven though. Minnesota went on a 8-0 run to take the lead midway through the the fourth, they were playing very good defense and were forcing LA to take bad shots. 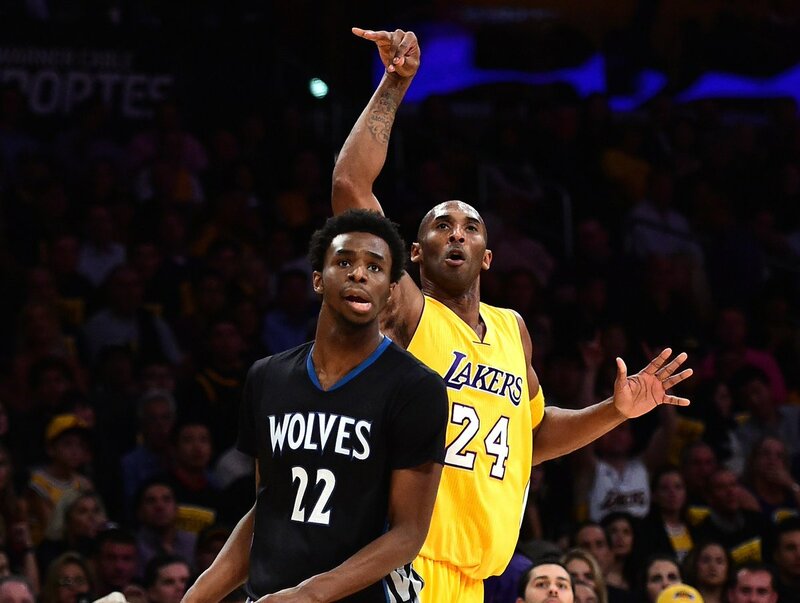 After a 9-1 run, the Lakers had one final shot with four seconds left to win the game. Kobe inbounded and Louis Williams had a very good look at his shot but it just went in and out, the Wolves played a great second half and pulled it out. My biggest takeaway is that Ricky Rubio played sensational, he was making it happen whether it was scoring or passing. The Lakers offense in the second half went on a slump during a certain time and Minnesota took advantage of that. Stats: Rubio 28 PTS, 14 AST, Towns 12 REB. Kobe 24 PTS, Randle 11 REB, Hibbert 4 AST.